At Back of Beyond Equine Centre, make a long time dream come true. Experience the power, majesty, and sensitivity of horses. Begin on the ground; develop a rapport with horses, discover how they communicate, learn how to care for them; then, progress to developing core riding skills in the saddle at your own pace. Sessions are customized, best practices emphasized and confidence maintained. 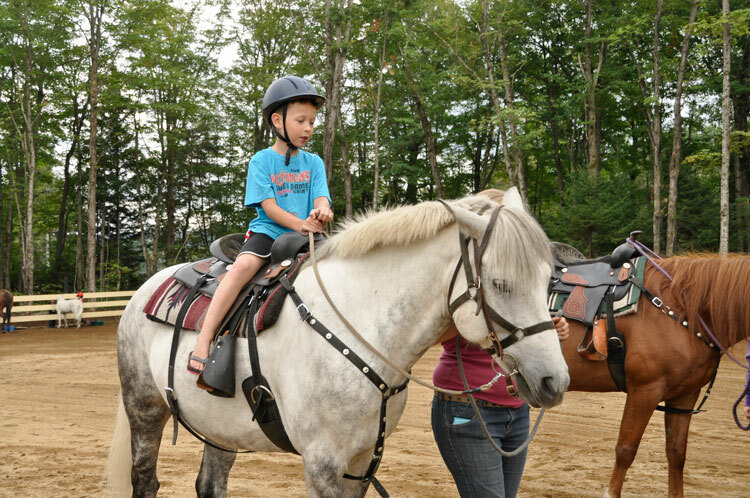 All types of activities and lessons are available such as playing with ponies for young children, developing an understanding of horse language, birthday parties, riding & horsemanship lessons, equine assisted learning and family sleigh rides are offered. Back of Beyond is dedicated to balanced equine wellness and collaborative horsemanship.